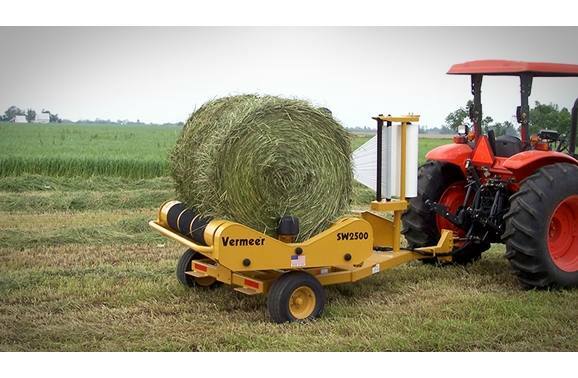 The exclusive Vermeer SW2500 Silage Wrapper quickly surrounds your bales in protective plastic film, maintaining a high level of protein content. Your bale's nutritional quality remains high, lowering the need to use protein additives. 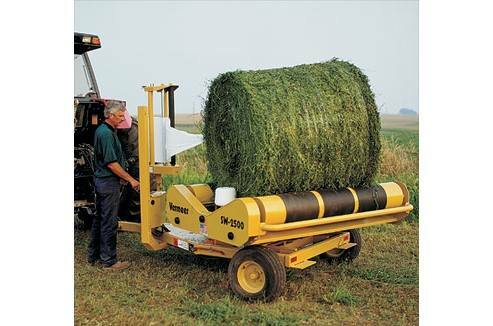 Handles bales up to 5'/1.5 m in diameter and 2,500 lbs/1136 kg. 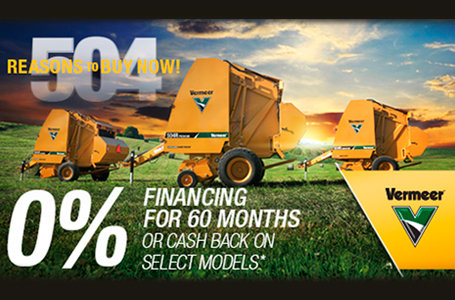 Harvest when you need to based on optimal crop maturity, weather and other scheduling considerations. Reduces damage and loss of dry matter and nutritious leaves. 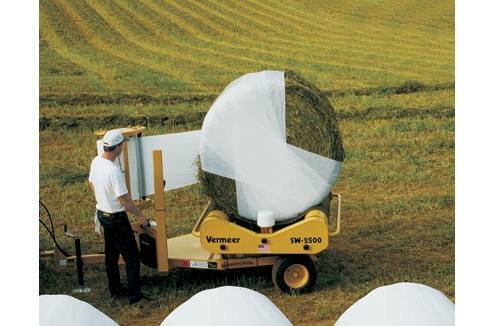 Easy to operate - just load the bale and the machine will spin and turn it until the bale is completely wrapped and sealed in plastic film. Store bales anywhere. 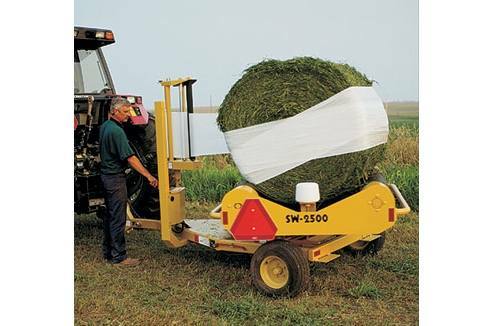 Individual bales can be moved to offsite feeding or storage areas.